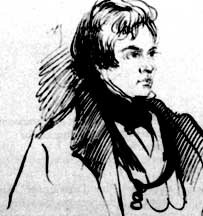 John Forster: Essayist, Historian, and Editor, 1812-1876. John Forster (1812-1876) edited the Foreign Quarterly Review , the Daily News, and The Examiner (1847-56). He produced an admirable series of essays dealing with the seventeenth-century Puritan Commonwealth: Lives of the Statesmen of the Commonwealth (1836-9), Arrest of Five Members (1860), Debates on the Grand Remonstrance (1860), and Sir John Eliot, A Biography (1864). He is best remembered, however, as the author of the first biography of Charles Dickens (3 vols., Chapman and Hall, 1871-4), Landor (1868), and the first volume of The Life of Swift (1875). p. 531 (Cambridge Biographical Dictionary, p.531. Leaving the Inner Temple, Forster joined the staff of The Examiner , to which he contributed favourable reviews of Dickens's earliest stories, collected in 1836-7 as Sketches by Boz . Forster first met Dickens on Christmas Day, 1836, through a mutual acquaintance, the novelist William Harrison Ainsworth (1805-82). Already, Forster's Lives of the Statesmen of the Commonwealth had begun publication at this time in Lardner's Cabinet Cyclopaedia. The frequent correspondence between the contemporaries eventually led to the travelogue American Notes for General Circulation (2 vols., Chapman and Hall, 1842), which is based on the letters which the novelist wrote to Forster during his first American reading tour (22 January-7June, 1842), an experience which contributed significantly to Dickens's Martin Chuzzlewit (1843). Over the late 1830s the two young men were so intimately connected in publishing matters that, as Robert L. Patten has noted, Forster became Dickens's "unofficial literary agent from the days of Pickwick onward." From no. 15 of The Pickwick Papers onwards, Forster saw all proofs of Dickens' writing, and for later novels was consulted by the novelist during planning, writing, and revision; on occasions when Dickens was absent from London, he usually deputed decisions about proof corrections to Forster. The connection between them was so great that Dickens entrusted Forster alone with the secret childhood trauma which lay behind so many of his works, the blacking factory episode; during the composition of David Copperfield, Dickens confided this secret when he committed to Forster's care the autobiographical fragment that he had utilized in writing the novel. Briefly Forster succeeded Dickens as editor at the Daily News in 1846, and subsequently became part-proprietor of Household Words (1850). Forster's rooms at 58 Lincoln's Fields, his home from 1834 until his marriage in 1856, are said to be the basis for the residence of the lawyer Tulkinghorn in Bleak House. Owing to his jealousy of Dickens's younger friends, such as Wilkie Collins, in his biography Forster tends to downplay the role of that writer in Dickens's later years. Forster advised Dickens legally when the novelist separated from his wife in the 1850s, and was one of the executors of Dickens's will. Bentley, Nicholas; Slater, Michael; and Burgis, Nina. The Dickens Index . Oxford: UP, 1990. Pp. 95-96. Cambridge Biographical Dictionary ed. Magnus Magnusson. Cambridge: UP, 1990. Page, Norman. A Dickens Companion . New York: Schocken Books, 1984. Pp. 32-33.